We’re going on holiday soon and what’s more exciting than going on holiday? I’ll tell you what. Being 3 and going on a plane. 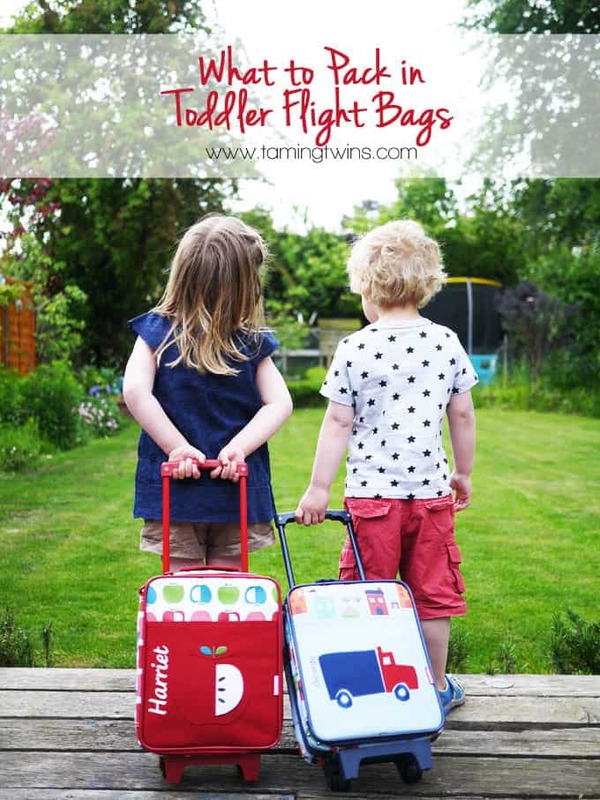 Of course, we need toddler flight bags for the occasion! What’s 4 and a half hours with 2 toddlers in a confined space? GULP. To try and stave off my need for too much gin to get me through a 9am flight, I’ve put together some nifty little packages of goodies to keep them busy (hopefully). 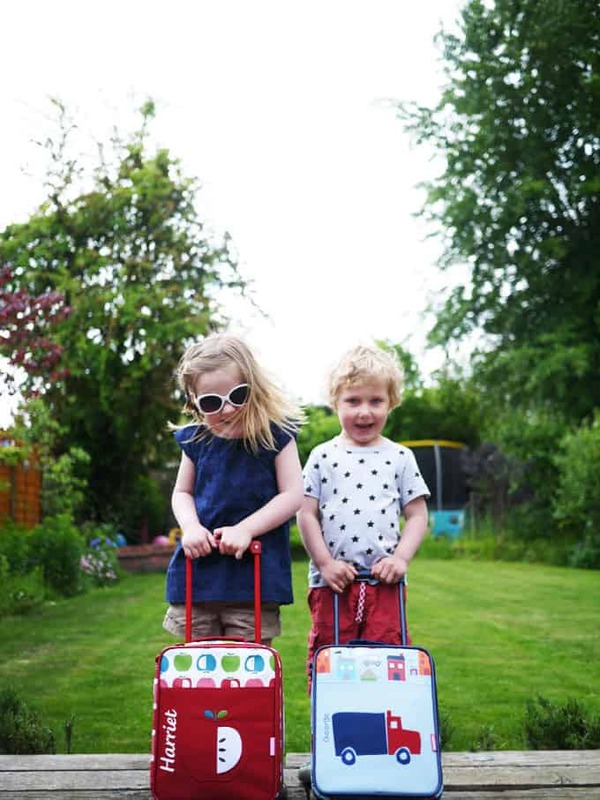 Before we get onto that though, how gorgeous are these kids wheelie bags? 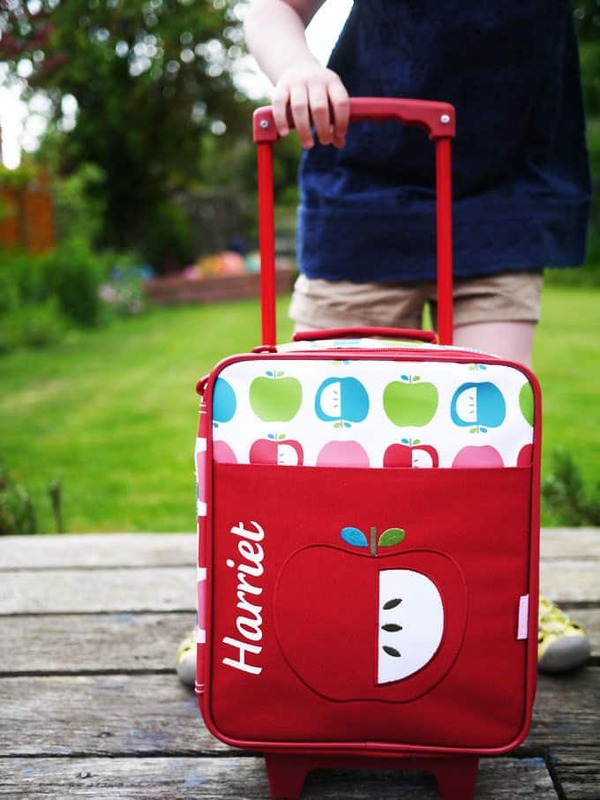 They are perfect toddler flight bags, beautifully made, lined with wipe clean material, embroidered and personalised with your child’s name. They are from Stuck on You and they are certainly an investment purchase at £39.99, however, they are currently on sale at £19.99 or you can win one by entering the competition below. Hurrah! The video below shows you everything I’ve packed in there. If you have any other ideas, I’d love to hear them in the comments. Small games (children’s card games are a good one). Lollipops for take off and landing to help prevent blocked ears. 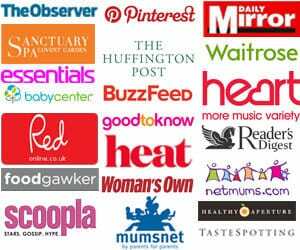 I hope our ideas are useful if you’re off on holiday soon. 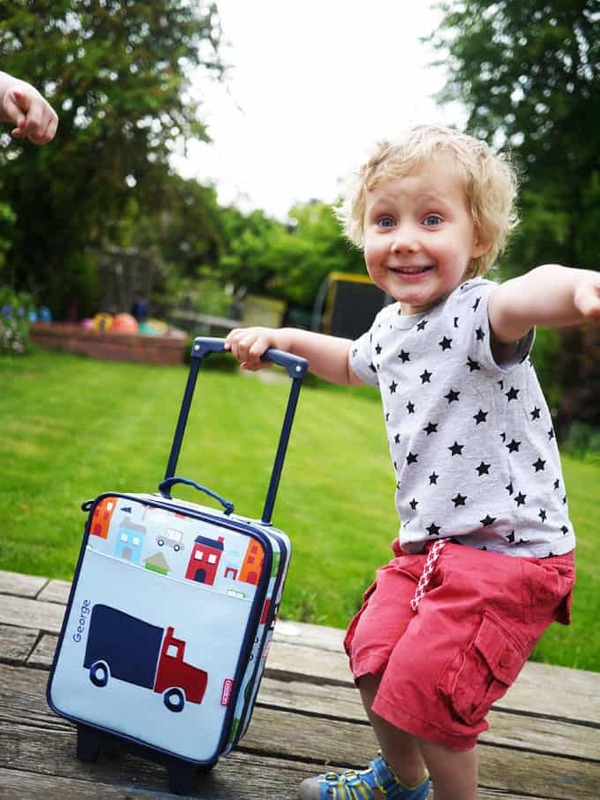 Please let me know your travelling with toddler tips if you have any, I’d love to hear if I’m on the right track. Or send gin, either is fine. I always pack empty snap lock resealable bags. I find this are always useful with kids with either keep food in (normally half eaten food), rubbish while out and about and you can’t find a bin, and also soiled clothes. I always end up using everyone that I’ve packed.